Industrial Partners and Magic Moments are thrilled to announce that six year old Anya, and her big brother Nick, along with their parents are headed to Disney World, Sea World, and Universal Studios! Anya suffers from tibial hemimelial, which required the amputation of bother of her legs above the knee in 2011 at the age of four. Anya is mastering the use of her prosthetics and her biggest wish is to visit Disney World to become a princess! Industrial Partners is honored to have been a part of making Anya’s dream come true. There are numerous other children waiting for their ‘magic moment’. We ask for your help in raising necessary funds to fulfill magic moments for other medically ill and disabled children throughout Alabama. There is no greater joy than to be able to make dreams come true for these special children. Magic Moments, founded in 1984, is dedicated to making the non-medical wishes and dreams come true for children who, because of unfortunate illnesses, are being deprived of a normal childhood. 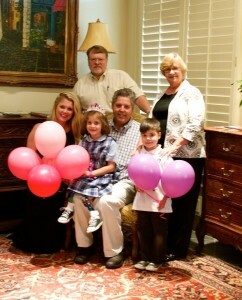 Wishes are granted to children who meet our age and medical criteria and who are cognizant they are receiving a wish. Magic Moments operates exclusively on donations from individuals, corporations, foundations, civic/professional groups and fundraising events to provide wishes to children. The money raised by Magic Moments stays in Alabama and dreams are granted to children in all 67 counties who meet an age and medical criteria. Nim Frazer, Jr., SIOR was honored to become a member of the Montgomery Regional Board of Directors of Magic Moments in 2012. appointed to the Board of Directors in October, 2012.